Small Business Saturday is on the way, and you need to make sure you have a solid plan to take advantage of the extra attention you’re sure to get from customers who come out to #shopsmall. Last year, around 112 million people shopped at local small businesses and independent restaurants, spending about $15.4 billion. Things are looking good for this year, too, so you’ll need to be ready. The good news is that technology can make a big impact on Small Business Saturday, helping you get customers interested, connect with them on a personal level, and convince them to stick around and buy something. With the right plan, technology can make 2017 the best Small Business Saturday ever. The most important thing that you need to do is to get the word out to your customers and fans that you have something special planned for Small Business Saturday. One important thing to realize is that most customers prefer to shop local. At the same time, what often holds back from exclusively shopping small is that it’s often tricky for local businesses to offer competitive pricing. The genius of Small Business Saturday is that it promises both—it’s an event specifically celebrating shopping local that also implies there will be some good deals for customers. Make a plan for how you’re going to let customers know what you’re planning to do for Small Business Saturday, and then organize the tools to execute that plan quickly and easily. How do you know who to target, and how do you make sure that you can cut through the noise? This is where technology can help because we can dive into the world of marketing automation. Around this time of year especially, it’s important that you don’t just blindly cast your message into the wind and hoping that it’ll reach the right people. Instead, take advantage of all of the data at your disposal to get into marketing automation. Automation tools can help you segment your leads and develop specific, customized campaigns to reach each group with an individualized message tailored to appeal to them. You should already be obsessed with data, tracking every piece of information you can get about your customers and potential customers. (Keep in mind that this includes data from last year’s Small Business Saturday.) You should also be working to develop a mailing list, which lets you actually reach customers and offer them something of value. Marketing automation combines those things into a powerful cocktail. The trick is to identify customers that have a high likelihood of conversion, and then give them an offer they can’t refuse. The classic example is someone who abandoned their cart. With marketing automation, you can make sure that this person—who already considered buying—gets a discount offer a week later, or whenever you have a sale. Another example would be to identify all of the millennials on your mailing list and send them series of invites to your craft beer tasting event, following up with a discount offer if they haven’t yet RSVP’d. For Small Business Saturday, it’s about finding an angle for all of these groups of potential customers. There’s a lot to figure out when it comes to social media. The first ground rule is to remember that not all channels are created equal: a very different group of people are going to be on LinkedIn than Instagram, for example. This means that you’re reaching different groups of customers in different places and that your content needs to be in a format that works for that specific channel. Before Small Business Saturday, schedule some content teasing the event to get people interested and take advantage of the conversation happening on the #shopsmall hashtag. The day of, there are a lot of things you can do to take advantage of the natural fear of missing out people have around events. Going Live on Facebook or Periscope is one option, hourly deals are another. One simple way to make sure that your message reaches your audience is to make the most of social advertising. Because of the nature of Small Business Saturday, a big segment of your target audience—for some businesses, even your entire audience—is going to be local. An affordable and powerful way to reach those people is to use local, target, paid social advertising to make sure that you catch the eye of people who are actually nearby. Almost every major social media channel (including Facebook, Twitter, and Instagram) has the option to use geotargeting to hit users within a certain radius or ZIP code with your content. This form of advertising is generally inexpensive because it’s such a specific, small audience, but the great thing is that for Small Business Saturday, it’s exactly the audience you need to reach. Keep in mind that social media isn’t the only place that customers looking to #shopsmall are going to go in search of businesses. Like it or not, a big part of Small Business Saturday centers around offering exciting deals, and these days many customers turn to apps like Groupon, SnipSnap, and RetailMeNot to look for those offers. You’re going to be offering discounts, so don’t ignore this channel! Finally, we can’t write an article about technology tips without ignoring the basics. In 2017, you need to offer secure, fast, free WiFi in your business. It’s good for your brand, it makes customers more likely to stay and spend money, and it gives you some data to look at after they leave so you can continue to target those customers for the rest of the holiday season and beyond. 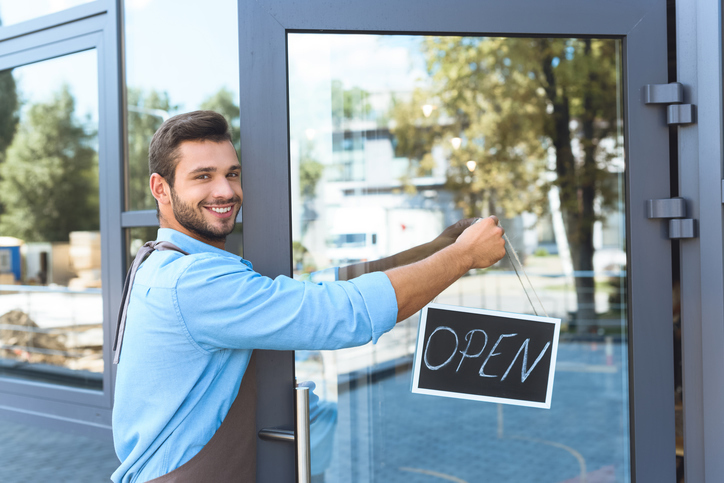 Small Business Saturday is coming, and you need to have a plan for how you’re going to stand out from the noise brought on by big box stores and your fellow small businesses. The good news is that, with the right technology, you can make sure you reach key customers, bring them to your business, and make Small Business Saturday a great day for your bottom line. Leverage marketing automation to target key groups of customers. Get engaged in the #shopsmall conversation. Use local, targeted, paid advertising. Consider putting out offers on discount apps. Make sure your in-store WiFi is ready for the influx of customers.